I put my hair in a bun, and then I use a Bondi Band to wick the moisture from sweating. 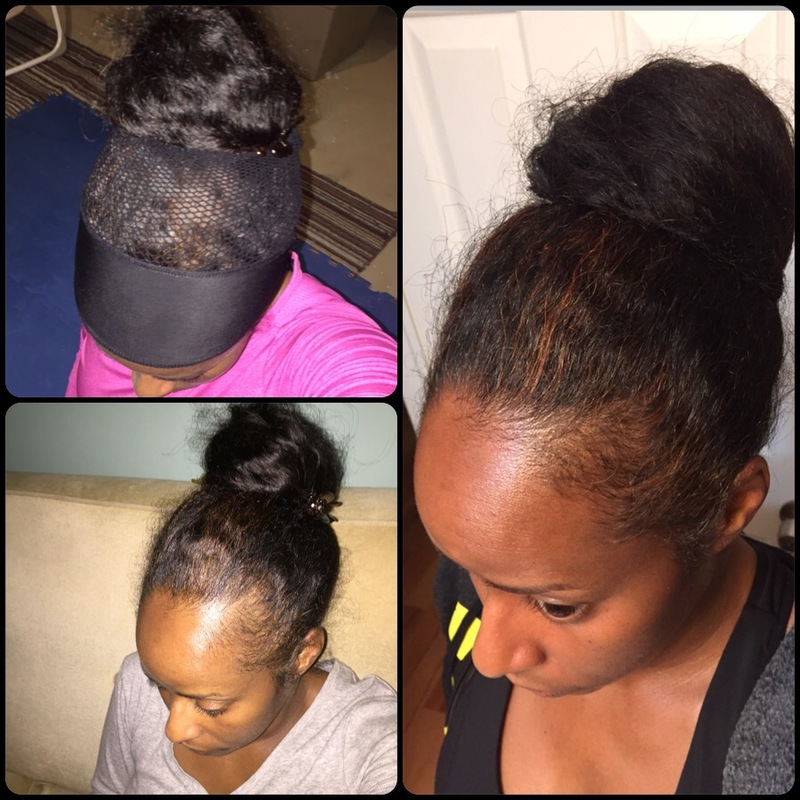 I usually have no problems with my edges staying smooth using the Bondi Band. Like you, I also had a baby at the beginning of the year, and started wearing my hair straight during my pregnancy because it has just been so convenient. So far, I’ve had no problems. Bondi Band? Google, here I come!!! LOL!! Wait – She’s BACKKKKKKK?????!!!!!! The Wyntr-spell has a BREAK BUTTON????? Nawwwwww, you submitted a leave-slip to that powerful little one (bc one cannot just be released from cheeks like THAT), and she acquiesced! THAT sounds about right! Now – ask her her thoughts on which stocks are performing better RATT now! Oh yeah – I’m gonna get dat wig cap ASAP! Shelli you’ve solved my hair problems!! 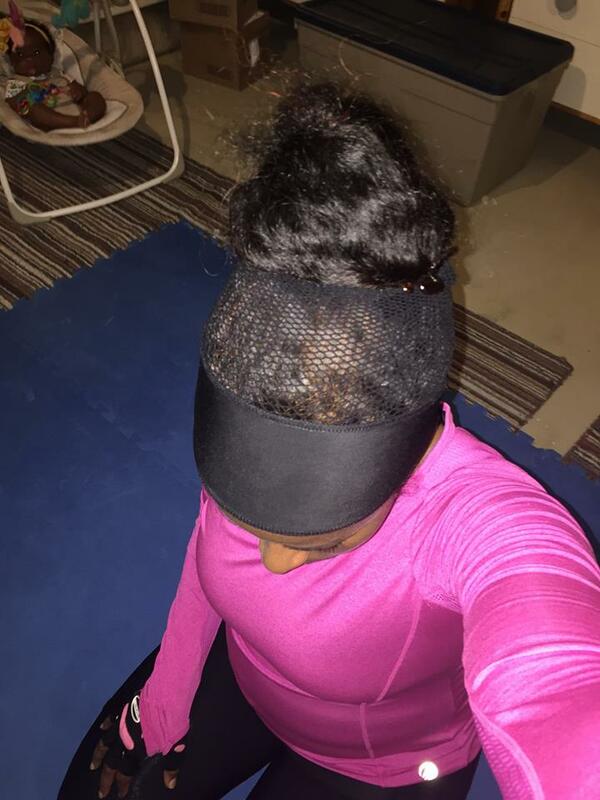 I’m a fitness instructor and because I teach multiple times a week, I always sweat out my hair. No blowout or curlformer set can last more than 1 day. Thanks for the tip! Sally’s I’m coming for ya! I wish I could tie my hair up when straight and work out but my hair is not having it. This is great! 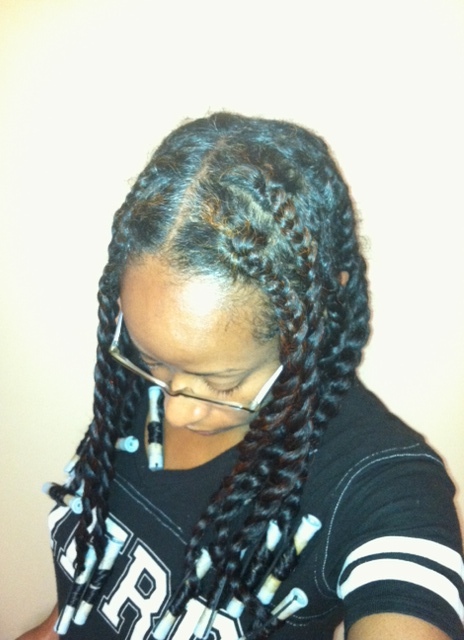 I usualy put my short hair in side ponytails (not braided) and use mesh that I got on a spool in walmart’s fabric section to tie my hair down and let it breath. 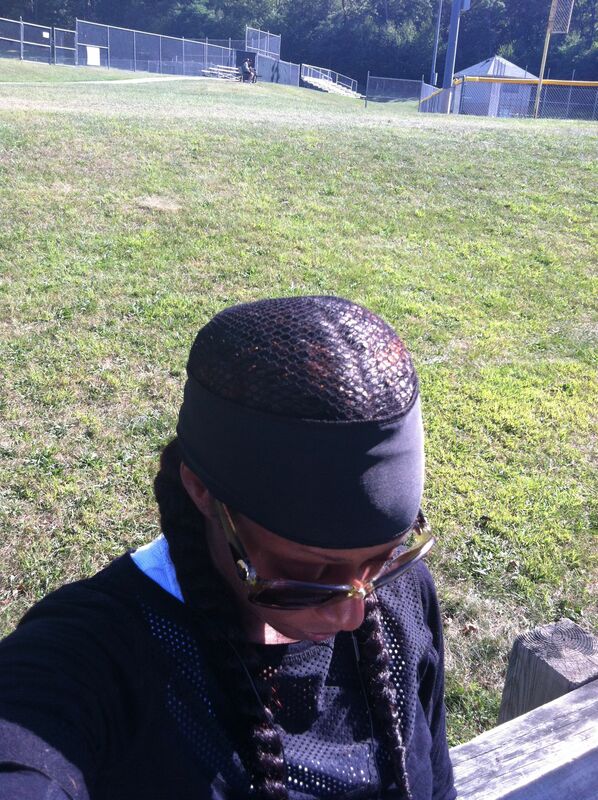 After my workout I tie it down with a dry silk scarf to let it wick any remaining moisture away.